[dropcap size=big]A[/dropcap]h, druids. They’re the original, blood-soaked hippies of yore. Where would the Celts be today if not for the highly mysterious woodland guardians of yesteryear? While the option to play as a druid has been included in numerous games (including Diablo II and the upcoming Pillars of Eternity), it was only a matter of time until a game was built entirely around them. 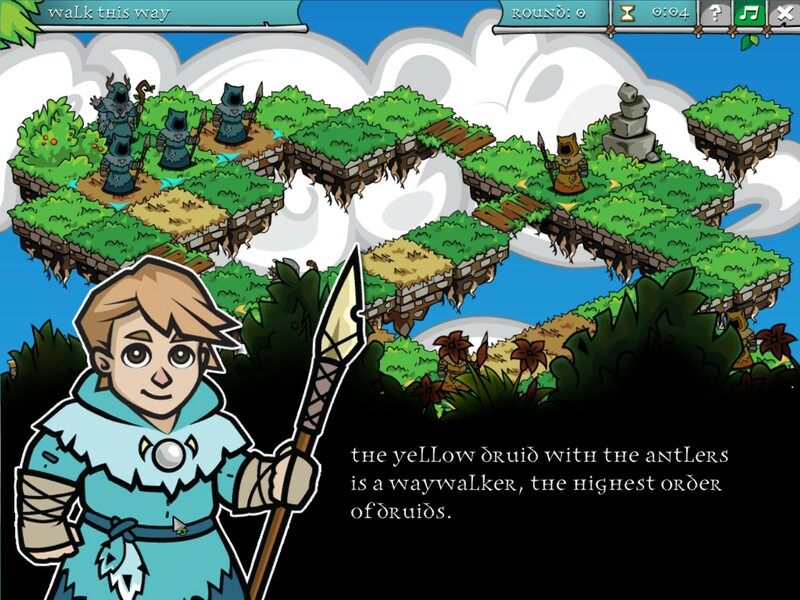 That game is Thoughtshelter Games’ A Druid’s Duel , a mixture of Q*Bert and Chess. But is it actually worth your hard-earned ring money? A Druid’s Duel is a surprisingly unique, entertaining game. It’s premise is rather easy to explain: you control a group of druids, and you have to try to claim as many tiles as you can while reducing the amount your opponent has. The more tiles you’ve claimed, the more mana you gain at the start of your turn. You can then use this mana to spawn in more druids, or shapeshift the ones you already have. 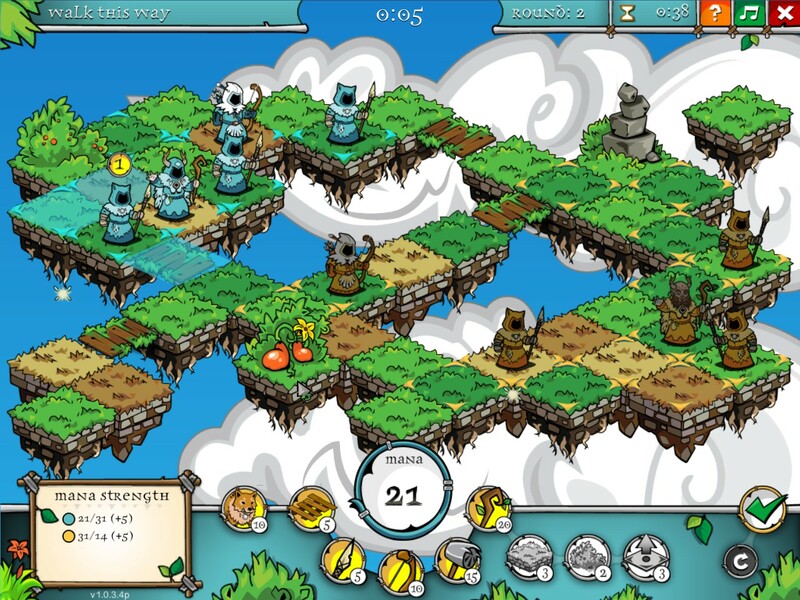 You’re also able to modify the game’s terrain: you can create new tiles, or destroy them. If you’re a newcomer to the strategy genre, it’s easy to understand. Mastering it on the other hand, is a different story. The game is purely strategy based, with pretty much no luck involved. Any of the four types of druids can defeat a hostile unit with just one hit, so being careful with your druids is very much advised. The AI in the campaign is serviceable, and pretty challenging on the higher difficulty settings. However, it occasionally make boneheaded errors. On numerous occasions, I’ve seen the AI shapeshift one of its druids only to make it pace back and forth on two tiles it already controlled. The presentation in A Druid’s Duel is exceptionally well-done. The music in the game is utterly phenomenal, and fits the atmosphere perfectly. The game’s UI is very easy to understand, and even when I new to the game it didn’t feel obtuse at all. The Celtic-style font used also lends to the atmosphere. The art style is pretty easy on the eyes, and each of the four types of druids look very distinct. Despite all of these positives, I do have a few gripes about A Druid’s Duel. First, some of the idle animations seem to stutter at random while the other animations remain smooth. The game also doesn’t support widescreen resolutions at the moment, but the developers are working on implementing it. Finally, the story in the single player campaign is fairly unremarkable and doesn’t use its Celtic roots to their full extent. 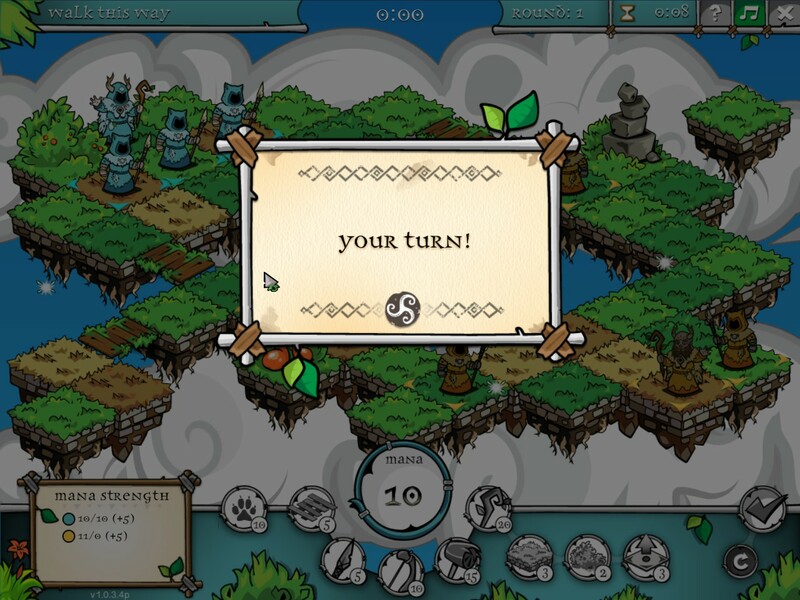 If you’re at all interested in the strategy genre, I heavily recommend you pick up A Druid’s Duel. It’s a surprisingly fun title, and one that I just can’t get enough of. It’s available for purchase on Steam for $9.99, and supports Windows and Mac.